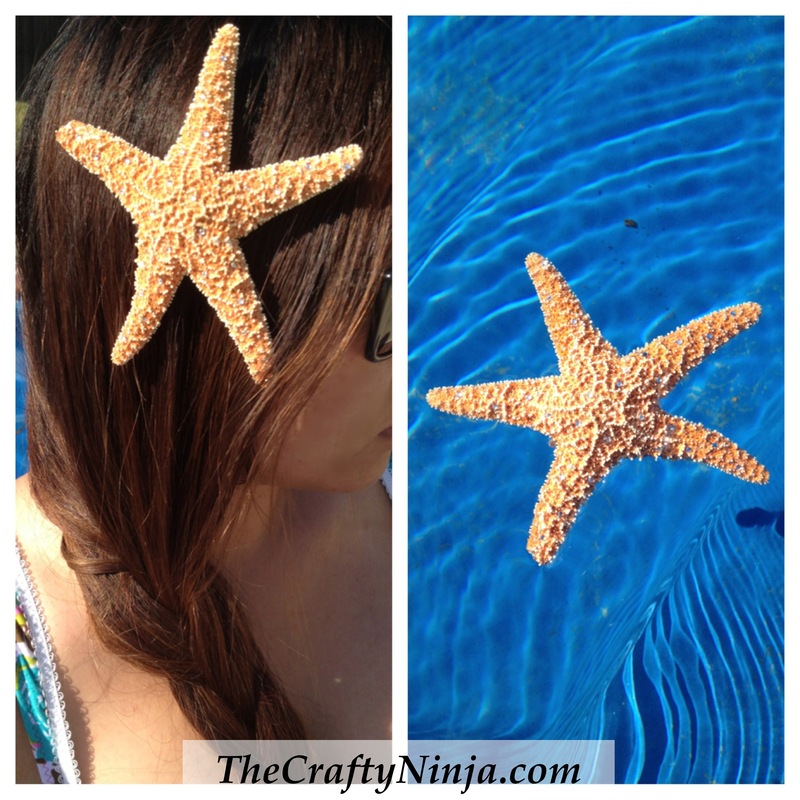 I wanted a fun hair clip to look fashionable poolside or if you’re lucky enough beach side. Perfect accessory for summer it brings a fantasy of being somewhere tropical. This is so easy to create and so cute! To create this look you will need: Starfish purchase here, Felt, Hot Glue Gun, Glue Sticks, Hair Clip, Rhinestones, Clear Nail Polish, and Magic Pick. I cut a piece of felt into a small circle and glued to the starfish with the hot glue gun. Then I glued the hair clip to the felt. Next I added Rhinestones with Clear nail polish, or you could use top coat, and a Magic Pick to pick up the Rhinestones. This added a little bit of sparkle and shine.